Suspension on the U.S. debt ceiling is set to expire March 15, and two of Trump’s top advisors are going head-to-head over whether it should be raised. Markets are already nervous, and things could get ugly if a compromise isn’t reached. 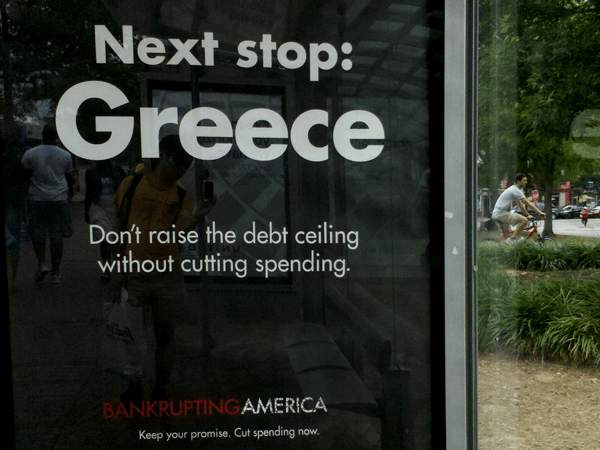 The U.S. debt ceiling is not directly tied to new spending. It’s the congressionally mandated limit on how much debt the country is allowed to have on its books. More of an accounting measure than anything else, the debt ceiling is the first line of defense in a short series of measures that prevent the U.S. from defaulting on its debt. If it isn’t managed and raised appropriately, serious consequences can occur, such as when the U.S. experienced its first credit downgrade after the debt ceiling crisis in 2011. Raising the debt ceiling and “passing the buck” is a necessary evil, simply because failing to do so puts the country’s financial viability in serious danger. Members of Congress and federal bureaucrats have always butted heads over the issue, but they’ve never been enough at odds to prevent an eventual resolution. However, a stand-off between two of Trump’s new picks is causing some to worry this time may be different. Steven Mnuchin, Trump’s pick for Treasury Secretary, is firmly committed to raising the debt ceiling as needed. But Trump’s pick for Budget Director, Mick Mulvaney, feels very differently. “Honoring the U.S. debt is the most important thing. … I would like us to raise the debt ceiling sooner rather than later,” Mnuchin said during his Senate confirmation hearings. Mnuchin sees the decision as a given. Without raising the ceiling, a mere crisis can quickly escalate to a major disaster. Mulvaney, however, thinks there’s a false sense of urgency. And he thought the same thing before the 2011 debt ceiling fiasco too. “I have heard people say that if we don’t do it it will be the end of the world … I have yet to meet someone who can articulate the negative consequences,” Mulvaney said in 2010. Now Mnuchin and Mulvaney will be forced to hash it out – with themselves and with federal legislators. But they have less than a month to do it. If Mulvaney and Mnuchin can’t coordinate with Congress to reach some kind of deal before the current debt ceiling suspension expires next month, Americans will have good reason to be concerned for their financial security. A drop in faith of the U.S.’s creditworthiness could trigger a domino effect with disastrous consequences – not just in the American economy, but in the entire global financial system. According to a report from the Bipartisan Policy Center, such an event would be particularly damaging to pensions, 401(k)s, IRAs, and other retirement accounts. On the flip side, metals markets stand to reap significant benefit from the looming debt ceiling meltdown. During the last major debt ceiling crisis in 2011, gold prices exploded to over $1900. While the government scrambles to cook its own books, do you really want to leave your savings fully exposed to any potential fallout? If you’re like many of Birch Gold’s clients and do NOT want to take such a chance, it may be wise to seek safety in gold now, before time runs out.